© New Age Banking Summit Nigeria 2018, All Rights Reserved. No part of this website may be reproduced or transmitted in any form or by any means without the prior written permission of the event producer. Banking Technology is the definitive source of news and analysis of the global fintech sector. Founded in London in 1984, Banking Technology has been at the forefront of the print and online publishing for the international community of bankers, financial services professionals, vendors, consultants, analysts and other industry participants, big and small. Our website attracts around 80,000+ unique monthly visitors and our daily newsletter is delivered to over 17,500+ key decision-makers in the financial services and technology sectors. Our broad readership and reputation, combined with in-depth coverage of fintech and banking technology issues on a worldwide scale, makes Banking Technology the leading resource for technology buyers, sellers, developers, integrators and other specialists across the sector. The Payments & Cards Network is dedicated to the Payments industry. Adding value to clients by offering innovative executive search, recruitment and RPO solutions to international clients. With offices in Amsterdam, Hong Kong, San Francisco and London, a global outlook, and understanding of the payments landscape is in place to offer the best advice and service on the market. Call us with your specific needs today on +31 203 030 257 and one of our consultants will be able to help quickly and efficiently. Payments Afrika is an independent news site for professionals and executives. Focused on the continuing evolution and innovation of payments in Africa and abroad, Payments Afrika delivers the latest news and insight into a wide range of electronic payment topics including: card payments, ATMs, online payments, ecommerce, mobile payments, online banking, alternative payments, security and point of sale technology. Financial Nigeria magazine, Africa’s foremost development and finance journal, is produced as a knowledge-intensive complementary reading material. It is targeted at senior officials in the public, private and voluntary sectors. A number of Federal Government Ministries, Departments and Agencies, and private sector institutions are institutional subscribers to the magazine. The magazine regularly publishes articles on Energy, Policy and Governance, Private Sector Development, ICT, Finance and Investment, Monetary Policy, International Trade, Market Risks and International Capital Flows, Market Regulation, Agriculture and Food Security, Sustainable Development, and Technology. Financial Nigeria magazine debuted in August 2008 as a monthly. Since then, it has been published every month. Dr. Omobola Johnson is a Partner of TLcom Capital (Lagos, Nigeria)—a venture capital firm focused on investments in technology-enabled companies in Sub-Saharan Africa. Before joining TLcom, Omobola was Minister of Communication Technology, Nigeria from 2011 to 2015. During this time, she supervised the launch and execution of the National Broadband Plan and provided support to the Nigerian technology industry. 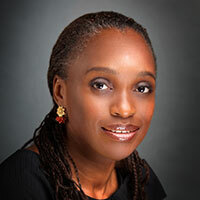 Before serving in the Nigerian government, Omobola worked in Accenture for over twenty-five years, including five years as Country Managing Director. She serves on the board of a number of not-for-profit and for-profit organizations, including Women in Management and Business (WIMBIZ), where she was the founding chairperson. She has a Bachelor's degree in Electrical and Electronic Engineering from the University of Manchester, a Master's degree in Digital Electronics from King's College, London and a Doctorate in Business Administration from the School of Management of Cranfield University. Tomisin Fashina is the Chief Information Officer for the Ecobank Group and Managing Director of eProcess (a technology shared service subsidiary of Ecobank). He has over 27 years of experience in several industries, including technology and financial services, with over 15 years in management positions. At Ecobank, he is responsible for ensuring the efficient and effective use of technology to meet business goals and objectives. Tomisin served as the Managing Director of Yookos, a social media company providing social network services. Prior to that, he was the General Manager, Transaction Banking Products with ABSA Business Bank (Barclays Africa Group) Johannesburg. He has held several other positions, including Director, Cash Management, Barclays Bank PLC Dubai and Division Head and Director Client Delivery, Global Transactions Services at Citigroup South Africa. Tomisin holds a B.Sc. degree in Computer Engineering from Obafemi Awolowo University and an MBA in Marketing from the University of Lagos. Folasade Femi-Lawal is a fellow of both, the Institutes of Chartered Accountants and Taxation of Nigeria, and an alumnus of Harvard Executive Education Business School. She is currently the Head of Digital Banking for First Bank of Nigeria. Her accomplishments include the successful launch of the first integrated lifestyle mobile banking app FirstMobile—which received a 4.7 rating within 24 hours—on Google, blankberry and Android Appstore. Folasade joined FirstBank in July 2012, when she held the role of Deputy Head, Mobile Financial Services (MFS) and helped the bank take giant strides that led to partnerships with major institutions such as the Cherie Blair Foundation, UNICEF and major telecoms in Nigeria. She has to her credit the Global Finance award for the ‘Best Digital Bank of Distinction for 2016’ as well as the 2016 Asian Banker Award for the ‘Best Mobile Payments' at the 3rd West Africa International Banking Convention. Dennis Onome Ezaga is an accomplished banking executive with over 19 years of demonstrated career success in banking, encompassing experience in sales, product management, business development, strategic planning/new setups, remittances, and banking operations. 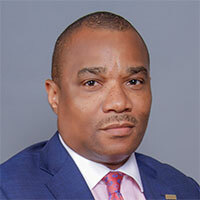 Prior to his current role, he was responsible for opening First City Monument Bank’s Transaction Banking office in Abuja, where he led the team and helped the organization significantly increase the adoption and usage of electronic products. Dennis is a fellow of the Chartered Institute of Finance and Control, as well as the Institute of Credit Administration of Nigeria. Currently working as the Chief Information Security Officer and Group Head Information Security Group at Guaranty Trust Bank Plz. Nigeria, Bharat Soni has over 18 years of experience in information security risk assessments, business risk assessment, IT governance and compliance. He has demonstrated skill in developing information security frameworks and conceptualizing information security policies, as well as ensuring compliance with security standards and procedures. Shina Atilola is a consummate strategist and communication expert with experience driving product strategy and execution for banks. He has over 20 years of experience in business strategy, marketing communication, branding, auditing, mergers & acquisitions, and financial management. 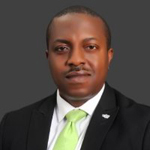 Currently the Group Head, Strategy and Innovation, of Sterling Bank, Shina has established himself as a reputable banker with expertise in enabling sustainable businesses over his 18-year banking career. An erudite strategist in the Nigerian banking sector, Shina has enabled Sterling Bank to develop innovative approaches to doing business. He is an entrepreneur and thrives in challenging and fast-paced environments. He also runs businesses in the agriculture and real estate sectors. Shina is a graduate of Obafemi Awolowo University Ife, with a first class honours degree in International Relations, and an alumnus of Wharton Business School. He is trained in strategic thinking, credit analysis, and brand management, among others. Usman Abdulqadir has over 20 years of banking experience, spanning retail and commercial banking, as well as bank supervision and regulation. He began his banking career with FSB International Bank Plc (now Fidelity Bank) in 1996, and served as the Kaduna Business Development Manager of Reliance Bank Limited (now Skye Bank), where he managed corporate, private and public-sector clients, before moving on to the Central Bank of Nigeria in 2003. He played a central role in the banking sector reforms of 2005 and 2009, and authored several in-house papers in the areas of financial stability, risk management and bank supervision. Between 2010 and 2012, Usman represented the Central Bank of Nigeria in the Liquidity Risk Management Working Group of the Islamic Financial Services Board, a global body with 188 members (including 61 regulatory/supervisory authorities and 8 inter-governmental bodies). He also represented the CBN at the 2015 Seminar for Senior Supervisors from Emerging Economies. Usman graduated from Bayero University, Kano, in 1993 with a upper second class degree in Accounting, and also holds a Master's degree in Islamic Finance from Durham University, UK. He is an Associate Member of the Institute of Chartered Accountants of Nigeria. 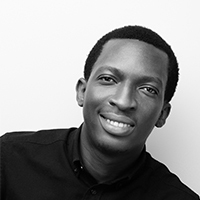 Victor Okigbo is a pioneering digital innovator in Nigeria, and an advocate of technology entrepreneurship to foster greater digital inclusion on the African continent. Over the last 25 years, he has co-founded InfoSoft Nigeria - one of the country’s leading software development firms, worked with firms as diverse as Microsoft and British American Tobacco, and initiated the formation of IDEA Nigeria - the country’s first public-private partnership technology incubator. Victor is Head of Financial Technology and Innovation at Access Bank, and currently leads The Africa Fintech Foundry - a fintech startup incubator based in Lagos. In his spare time, he runs Anthill 2.0, an acclaimed invitation-only poetry and spoken word forum that is held at various discreet locations in the city of Lagos. Victor also voluntarily serves on the Nigerian Economic Summit Group's Science and Technology Policy Commission. Dr. Etienne Slabbert joined Barclays Africa Group in May 2010 and is responsible for technology strategy, execution and service on the continent outside of South Africa. Prior to joining Barclays Africa, Etienne held various senior technology, operations and banking roles at firms such as Nedbank, Accenture and Infoplan. He holds a Ph.D. in Management of Technology and Innovation from the Da Vinci Institute for Technology and Innovation, and an MBA from Oxford Brooks UK. Etienne was a councillor at Sol Plaatjes University (one of South Africa’s two new universities), Chairman of the Facilities, Infrastructure and Information Technology Committee and a member of the University Executive Committee. Dipo Fatokun is a fellow of the Institute of Chartered Accountants of Nigeria and the Chartered Institute of Bankers, with leadership and top management experience in both, the public and private sectors. He has attended several training programmes locally as well as internationally, including The Payments System Policy and Oversight Training by the Federal Reserve Bank of New York. Dipo is presently serving as the Director, Banking and Payments System Department, Central Bank of Nigeria, and was a Deputy Director in the Banking Supervision Department of the Bank. He is the current Chairman of the Nigeria Electronic Fraud Forum, MICR Implementation Technical Committee and Payments Infrastructure Coordinating Committee, and the Secretary of the Payments System Strategy Board. Dipo holds a B.Sc. degree in Accounting from the University of Ilorin, Kwara State and a Masters’ degree in Business Administration from the University of Lagos. Shola Akinlade is co-founder and CEO of Paystack, which provides a simple and secure way for merchants in Africa to accept payments from their websites or mobile apps. Paystack is the first Nigerian startup that was accepted for the Y Combinator’s accelerator programme. The company recently received US$ 1.3 million in seed funding. Prior to Paystack, Shola co-founded Precurio—an open-source collaboration software for businesses in emerging markets—which was downloaded over 150,000 times and made available in 6 languages. He graduated with a B.Sc. in Computer Science from Babcock University. Benedict Anyalenkeya has over 25 years of experience in consulting, manufacturing and banking, with core competencies in technology strategy, electronic banking, channels and product management, retail banking, accounting, and project management. He began his career in banking as operations staff before moving into IT audit consulting in 1994 when he joined EDP Audit & Security Associates. At EDP Audit & Security Associates, he consulted for regulators, multi-national companies and banks. Benedict is a Microsoft Certified Professional, Certified Information Systems Auditor, Fellow of the Institute of Chartered Accountants of Nigeria, Associate Chartered Certified Accountant of London, Lead Auditor certified in British Standard number 7799 on Information Security and certified International Cards & Payments Professional. He is also certified in Risk and Control of IT. Muhammad Jibrin has rich experience in banking and management, having previously held positions in Union Bank of Nigeria, Citigroup NA and Barclays Bank in four countries across Africa and Europe. Prior to joining SunTrust, he was an Executive Director on the Board of Aso Savings and Loans Plc. and at one point the Group Head responsible for growing Bond Bank’s (now Skye Bank Plc) business in Abuja and the North. Muhammad has served on various boards and was at one time the National Deputy President of the Mortgage Bankers Association of Nigeria and a member of the Presidential Committee on Affordable Housing. He holds an M.Sc. in Risk Management from the NYU Leonard N. Stern Business School, New York University, an MBA from the Imperial College London, a diploma in General Management from Harvard University and a postgraduate diploma in Financial Management from the Abubakar Tafawa Balewa University, Bauchi. Onajite Regha is the founder of the non-profit E-Payment Providers Association of Nigeria (E-PPAN), which actively engages with the banking industry and digital payment stakeholders to ensure that Nigerian consumers and businesses benefit from access to world-class payments. She has been its Executive Secretary/Chief Executive Officer since the organisation’s inception, partaking in advocacy, research, strategy, stakeholder facilitation and articulation of initiatives that educate and connect people in the payments environment. Onajite has over 17 years of experience in media, banking and electronic payment systems. She has worked in team-oriented, high-volume, fast-paced, client-centric environments, serving as an operations manager at an oil servicing company in the Niger Delta, a counter service supervisor at Citibank Nigeria and a leader of the first e-payment magazine in the West African sub-region. Onajite studied Mass Communication at Delta State University, Abraka, received a certificate in Projects Management and is an Extra Value Certified Professional by Harvard Associates. Peter Martis is currently director of the Face Recognition Business Unit at Innovatrics. His areas of focus include continuous product improvement, increasing Innovatrics’ presence in the face recognition market and evangelising the use of facial biometrics on mobile devices. Prior to Innovatrics, Peter worked for Nuance, Genesys and Siemens, focusing on the sales activities and business development of the biometrics and customer service solutions verticals. While working at Nuance, he managed to increase the sales of voice biometrics technology in the Central European region by 400 per cent. Peter holds a degree in Computer Automation from Slovak Technical University. He is married with two children. Temitope Akin-Fadeyi is the Head, Financial Inclusion Secretariat at the Central Bank of Nigeria (CBN). She also serves as Secretary to the National Financial Inclusion Governing Committees and Coordinator: Financial Inclusion Working Groups, focusing on products, channels, financial literacy and special interventions for priority segments. Prior to joining CBN, Temitope was a Management Board member and Head of Banking Services of FINCA International—a global microfinance organisation—where she pioneered the Banking Services Department in Uganda and mentored subsidiary heads. She has over 16 years of work experience spanning strategy, operations, digital financial services, microfinance, retail/consumer banking, product development/sales, project management and international money transfers. She is an alumnus of Harvard Business School and a Fellow of the Fletcher Leadership Program for financial inclusion. Since assuming office as the Head, Financial Inclusion Secretariat, she has played a key role in advancing financial services to previously excluded populations across Nigeria. oby Shapshak is Editor in Chief and Publisher of Stuff South Africa, a contributor to Forbes and a columnist for the Financial Mail. 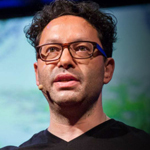 His TED Talk on innovation in Africa has over 1.4 million views. He believes Africa is a mobile-driven continent, and has written about the same for CNN, The Guardian in London and Forbes. Toby has been featured in the New York Times and has won the ICT Journalist of the Year award. He was named in GQ’s top 30 men in media and the Mail & Guardian newspaper's 300 influential young South Africans lists. GQ said he "has become the most high-profile technology journalist in the country." As a news and political journalist, he ran the Mail & Guardian newspaper’s website when it was the first news site in Africa, shadowed Nelson Mandela when he was president, and covered the Truth and Reconciliation Commission. Rishi Pillay is the General Manager and Regional Head: Africa for FSS, a leading global payments technology and processing company headquartered in Chennai, India. FSS offers business value in the areas of electronic payments and financial transaction processing solutions and services. The company has earned the status of a payments systems leader through a combination of an established portfolio of technology solutions, state-of-the-art infrastructure and 26 years of experience in the payments domain. Rishi was previously the CEO of the automated clearing bureau business within BankservAfrica. He has over 20 years of experience in the financial services industry, undertaking senior roles across retail banking, payments, CRM, product management and IT. He has worked extensively in South Africa and the rest of Africa, managing existing operations and creating startups spanning consumer banking and retail transaction solutions. Rishi is passionate about payments and technology innovation, and is an enabler of financial inclusion and social upliftment. 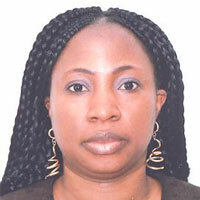 Osasu Igbinedion is an experienced e-business and financial technology expert. 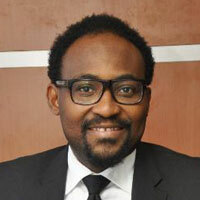 He began his professional career in 2010 as an E-business Executive with Zenith Bank Plc in Lagos, Nigeria. He was responsible for managing e-business products in upcountry locations, training, and implementing electronic products for branches and clients in the zone. In 2013, he joined a company with a mandate to grow and deepen electronic product adoption in Northern Nigeria. He successfully executed and managed revenue collections and implemented a framework for Treasury Single Account (TSA) for major states in the region, including Kano, Kaduna and Gombe. He is currently the Business Development Manager for Software Group in Nigeria. SAS and all other SAS Institute Inc. product or service names are registered trademarks or trademarks of SAS Institute Inc. in the USA and other countries. ® indicates USA registration. Other brand and product names are trademarks of their respective companies. Copyright © 2014 SAS Institute Inc. All rights reserved. Paystack offers a modern, secure, and affordable way for Nigerian businesses to accept online payments from their customers, wherever they are in the world. We provide merchants—from solo entrepreneurs to large multinationals—with the powerful but intuitive tools and services required to run and grow their businesses. We also work with banks to aggregate their payment channels and gain access to the latest financial technology. Through these efforts, we aim to play a major role in realising the Central Bank's vision of driving Nigeria towards a cashless society. Detecon is a global management and technology consultancy specialized in Telecoms and has become a trusted advisor to many investors, carriers and regulators in Africa. Deteconhas successfully launched a number of Operators in Africa and worldwide. Detecon’s Knowledge Centre has one of the world’s largest data bases for ICT markets and related subjects. Virmati Software is a preeminent IT Solutions & Delivery Organization with marquee offerings in verticals of BFSI (Banking & Finance), ERP and mCommerce Platforms. c. Regional Partners enabled in East Africa, Central Africa, Central Asia & South East Asia with 2 Global Representational Offices at Kenya and Dubai. As a transcendent IT Technology Player, Virmati excels in developing & in delivering neo, cutting edge Solutions to clients & partners along with resolute Life Cycle Support. Come see a demo of Aware’s mobile face authentication with liveness detection! Aware is a veteran of the biometrics industry, providing a comprehensive portfolio of biometrics software products since 1993 for fingerprint, face, and iris recognition applications ranging from defense and border management to mobile authentication. We specialize in providing for top-tier biometric analysis, processing, and matching algorithms, provided in products that are easy to use with world-class technical support. Our mobile face authentication SDKs perform robust spoof detection and high-performance matching for easy, reliable, secure authentication. DERMALOG Identification Systems GmbH, based in Hamburg, is the largest German biometrics manufacturer and is known as biometrics innovation leader. A team of scientists is constantly working on "Automatic Biometric Identification Systems" (ABIS and AFIS) including the latest fingerprint live scanners as well as biometric border control systems and biometric ID cards and other documents. "FingerLogin", "FingerPayment" and "FingerBanking" are also DERMALOG products, as well as automatic face identification and iris identification. Apart from Germany and Europe, DERMALOG's main markets are in Asia, Africa, Latin America and Middle East. The company has now delivered its technologies and solutions to more than 140 government agencies in 75 countries. DERMALOG also provides biometric solutions for banks and ATM manufacturers. The world´s largest biometrics bank project (50 Million USD) has been implemented by DERMALOG: An ABIS for the 23 Banks and for the Central Bank in Nigeria ensures single identities of bank customers and guarantees best possible KYC. Numerous ATMs worldwide have been equipped with DERMALOG´s fingerprint technology replacing insecure PINs. To learn more about DERMALOG's innovative biometric products and solutions. InfoFort provides complete digital transformation solutions that span the full information management lifecycle and allow customers to move from paper to digital content management; structure their information; capture, process and validate data; automate customized workflows; and deploy electronic and digital signatures using smart and secure mobile technologies for easier accessibility, compliance and business continuity. Financial Software and Systems (FSS) is a leader in payments technology and transaction processing, offering a diversified portfolio of software products, hosted payment services and software services built over 25 years of comprehensive experience across payments spectrum. FSS, through its innovative products and services, caters to the wholesale and retail payments initiatives of leading banks, financial institutions, processors, merchants, governments and regulatory bodies. Its end-to-end payments suite powers retail delivery channels such as ATM, PoS, Internet, Mobile and Financial Inclusion as well as critical back-end functions such as cards management, reconciliation, settlement, merchant management and device monitoring. Software Group is a global technology company that is specialized in delivery channel and integration solutions for institutions that provide financial services. Founded in 2009 and headquartered in Sofia, Bulgaria, it currently serves a worldwide client base in more than 65 countries from 9 regional offices located in Australia, Bulgaria, Egypt, Ghana, India, Kenya, Mexico, the Philippines and the USA. The company’s vision is to accelerate financial inclusion by creating cutting-edge technology solutions. Some of Software Group’s customers are organizations such as Bill & Melinda Gates Foundation, International Finance Corporation (IFC), Asian Development Bank, Asian Confederation of Credit Unions (ACCU), Financial Sector Deepening (FSD), 7 of the top 10 Microfinance networks (Finca, OI, VFI, Accion, Hope International, Microcred, ReAll), Bank South Pacific, National Bank of Vanuatu, Fullerton Financial Services Holding, Fidelity Bank Ghana, LAPO Nigeria, Access Holding, Grameen Koota Financial Services etc. SmartStream provides Transaction Lifecycle Management (TLM®) solutions and Managed Services to dramatically transform the middle and back-office operations for financial institutions. Over 1,500 clients, including more than 70 of the World's top 100 banks, 8 of the top 10 asset managers, and 8 of the top 10 custodians rely on SmartStream’s solutions. SmartStream delivers greater efficiency, automation and control to critical post trade operations including: Reference Data Operations, Trade Process Management, Confirmations and Reconciliation Management, Corporate Actions Processing, Fees and Invoice Management, Cash & Liquidity Management and Compliance Solutions. Used independently or as a suite of solutions and services, clients’ gain a lower cost-per-transaction while reducing operational risk, aiding compliance while improving customer service levels. Volodymyr Budanov is currently a marketing and sales professional in a fintech company. After spending nearly 15 years working in different international banks, He has a clear idea of how financial services work and what customers really need in their daily life. Volodymyr creates and sells various fintech products, including mobile wallets, electronic money systems, mobile QR POS terminals, customer loyalty management and mobile gifts. He works with customers and prospects from more than 100 counties across the world, and is interested in launching ambitious projects in African countries. Walid Kaâbachi is an Associate Director of Biware Consulting, which he co-founded in 2011. Biware is a consulting and system integration company specialising in business intelligence and analytics solutions. Its clients include Attijariwafa Bank (Morocco), AlBarid Bank (Morocco), BMCE Bank (Morocco), Ecobank Group (Togo and Ghana), Ooredoo Group (Tunisia, Algeria), BIAT (Tunisia), Bank Al-Maghreb (Morocco), and Bouygues Telecom (France). 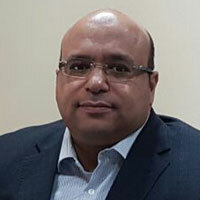 Walid is an expert in consulting and information system implementation for clients in the financial and telecommunications sectors. Before founding Biware, he was a Project Manager and MOA for over 12 years. Adegbami Adegoke Elijah is an experienced banker with in-depth knowledge and expertise in financial management, performance management, audit practices, financial reporting and management accounting, and different areas of management practices. 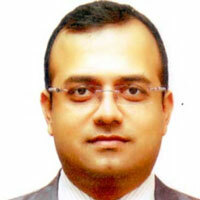 He has worked as a management consultant for numerous organisations, including banks. After the Microfinance Policy was introduced by the Central Bank of Nigeria in 2005, Adegbami worked as a consultant for a number of community banks that were being converted to microfinance banks. Subsequently, he joined Amaifeke Microfinance Bank Limited as the Head of the Internal Control and Audit Department. In 2009, he joined Mainstreet Bank Microfinance Bank Limited as the pioneer Head of Internal Control and Audit. Adegbami is an alumnus of the School of African Microfinance-Mombasa, Kenya, where he specialised in Strategic Planning (Using Microfin Tool) and Financial Analysis for Microfinance Institutions (Seep Tool). He has published several books on subjects related to financial intelligence, entrepreneurship and financial empowerment. gbonna Ukuku is the Executive Director – Nigeria, Global Chamber and the CEO of ONS Triumph Ltd., a company whose primary objective is to promote, advocate and support investors. The company also focuses on SME development, youth development and entrepreneurship. 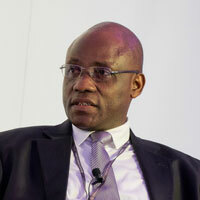 Ogbonna is the Lead Consultant for Investment Support Services to the Abeokuta Independent Power Project. Prior to this, he was an Associate Consultant to the prestigious Baben International Business School (BIBS) in Switzerland. Ogbonna was also the Senior Consultant on Investment Promotion to Indorama Group (owners of Eleme Petrochemical Company Ltd). He holds a professional certificate in Investment Promotion and Economic Development from the International Institute for Investment Promotion (IIIP) – Switzerland (Now Baden International Business School), an M.Sc. in Investment Promotion and Economic Development from Edinburgh Napier University – Scotland, a Master’s degree in Project Management and a first degree in Geology and Mining. public awareness programmes in Nigeria. Dele is certified as an e-Business Consultant (CEC) by the Internal Council of Electronic Commerce Consultants in UK. He is also a Microsoft Certified Systems Engineer. He has 25 years of post-graduation work experience in the IT and banking industries. Dele is a Chartered Accountant, and attended the Senior Management Program at the prestigious Lagos Business School (LBS). He will be the Chairman on Day 1 of the summit. Currently based in Morocco, Ndagi Job Goshi serves as General Manager for Liferay in Africa. Being a native of the continent, Ndagi is tasked with serving the African customer through the consultative provision of the robust, customer-focused Liferay Digital Experience Platform. Having worked for Fortune 100 companies in both, the financial services and insurance industries, he brings a balanced mix of sound technical knowledge and business know-how to the table. Ndagi enjoys helping empower people to reach their potential. As such, he has mentored several professionals on Wall Street over the years. Ndagi currently continues to mentor entrepreneurs in Africa as part of the prestigious BMCE Bank of Africa’s African Entrepreneurship Award. He is married and is the father of three daughters. Antoinette Edodo is currently an Account Executive working with SAS Nigeria. She joined the company in 2008 and rose through the ranks, gaining experience in several business units across the enterprise and acquiring skills in channel management, negotiation, territory sales and strategic account management. Antoinette has 9 years of experience selling technology solutions to organisations via channel partners and to clients (B2B and B2C). She has led key strategic accounts across the African continent. Antoinette is highly focused on client satisfaction and improving the bottom line. She has a keen eye for spotting strategic partnerships and building trust. After graduating with a B.Sc. in Estate Management from the University of Lagos in 2004, she took on a business support role at Berkeley Group and swiftly moved into the oil & gas industry as the Executive Assistant to the Managing Director of the then Wilbros group before joining SAS. Wael Issa is a Fintech expert specialising in the transformation of back-office operations through automation. In the past 10 years, Wael has worked with over 300 financial institutions covering the Middle East and Africa. 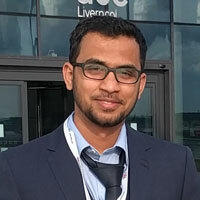 He is currently based in Dubai, and is pursuing a Pre-MBA programme at Harvard Business School. George Agu is an experienced IT professional and entrepreneur. Over the past 16 years, he has navigated roles in professional services, sales and business development, and company leadership in several African countries. 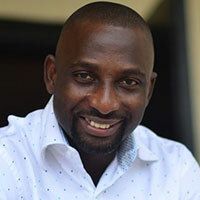 Prior to founding ActivEdge Technologies in 2010, George was the Managing Director, Chief Executive Officer, of Neptune Software, West Africa, and helped the company gain substantial market share in the public and private sector. He also worked with an investor and a commercial bank to host the first cloud-based solution for a microfinance bank in Nigeria. 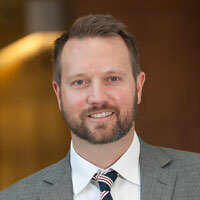 As the CEO of ActivEdge Technologies, George has led several industry initiatives, ranging from revolutionary industry-driven IFRS transition management (insurance, manufacturing, oil & gas and pension sectors) and cybercrime prevention security solutions to PCIDSS and transaction reconciliation and exceptions management. George studied Computer Science and Statistics at University of Nigeria, Nsukka. 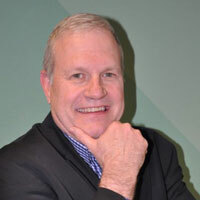 He is a certified Information Systems Auditor, Information Security Manager, and Project Manager. Olusola Teniola is currently a Client Partner with Detecon International—a subsidiary of Deutsche Telekom, Germany—where he is responsible for Nigeria and West Africa. Prior to this, he was a board member and CEO of IS Internet Solutions (a Dimension Data company) in Lagos, Nigeria. 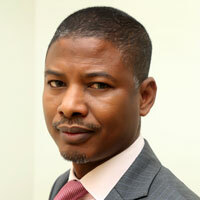 Previously, he was the COO and Director of Engineering at Phase 3 Telecom, Abuja. His ICT career spans 25 years in strategic management positions at several major telecom companies across the globe. 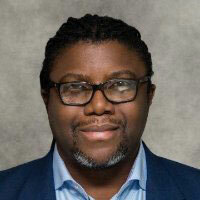 Olusola was instrumental in the rollout of mobile and broadband services by World Telecom in Portugal (2003–2007) and has served in executive positions at British Telecom, Vodafone, Cisco Inc. and Alcatel-Lucent Technologies. He has also been a member of the ETSI Standardization Work Group Committee for Next Generation Protocols and IP Distribution Architectures (2001). Olusola is currently a member of the IPv6 Council in Nigeria and the A4AI coalition. 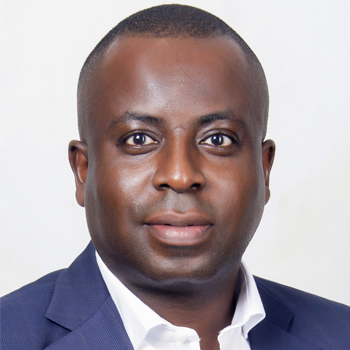 Olivier Dipenda is Regional Head: West and Central Africa for FSS, a leading global payments technology and processing company headquartered in Chennai, India. FSS offers business value in the areas of electronic payments and financial transaction processing solutions and services. The company has earned the status of being a payments systems leader through a combination of an established portfolio of technology solutions, state-of-the-art infrastructure and 26 years of experience in the payments domain. Olivier has held a number of senior positions in leading global financial services companies in the pan-African region. These roles encompassed mobile banking and payments, card issuance and acquiring, agency banking, financial inclusion and the insurance and reinsurance sectors. He participated in an advisory capacity in several African financial markets, and has extensive and in-depth knowledge of the pan-African retail banking, transacting and payments sectors, as well as strategic stakeholder management. Africa.com is the leading digital media company providing business, political, cultural, lifestyle and travel information related to the continent. The Africa.com Top10 is the smart choice for busy people who don’t have time to filter through all of the headlines searching for the latest news on Africa. The Top10 is the trustworthy curated news source that makes staying up-to-date quick, easy and interesting. CR2 is at the forefront of digital banking, consistently delivering on the needs of end users, embracing next - gen technologies and digital disruptions that are enabling new experiences in digital banking– Mobile, Internet and ATM.Our maturity and experience has enriched our product, providing a depth and breadth of functionality that is unrivalled.With deployments in over 100 banks in 60 countries, CR2 enables banks achieve digital transformation and deliver a consistent, cross - channel, exceptional user experience.CR2 has offices in Dublin, Dubai, Amman, Bangalore, Perth and presence in London, Moscow, Lagos and Johannesburg. Eclectics International was founded in 2007 by talented ICT professionals with extensive knowledge and experience in the financial industry. enabling them stay ahead of an evolving marketplace. We innovate, develop and deploy market leading solutions by simply putting our customer needs at the center of everything we do .With over 205 clients across 24 countries using our award - winning ICT solutions we must be doing IT right!We are a CMMI Level 3 appraised and PCI DSS compliant company. Established in 2007, Accion Microfinance Bank has a mission, “to economically empower micro-entrepreneurs and low-income earners by providing financial services in a sustainable, ethical and profitable manner.” The bank which has a license to operate nationally in Nigeria, has an extensive branch network of 60 service outlets as at end of 2017, where customers have easy access to various products and services that include savings, loans, micro-insurance and e-commerce. Accion Microfinance Bank has solid shareholder investments from three major banks Eco- bank, Zenith Bank and Citi Bank as well as International Finance Corporation, a member of the World Bank and Accion Investments - all of which contribute to its strong financial base and allow it to service an ever-increasing number of customers. The bank's corporate citizenship focuses on education, in which donations of educational materials and supplies are made to pupils of public primary schools. Accion Microfinance Bank has won several awards including the EFInA Award for the financial service provider that has deepened financial inclusion in Nigeria, the Lagos State Enterprise (LEAD) award for Best Microfinance Bank in Lagos State multiple times, and the LEAD Centenary MFB of the Year, for its impact on socio-economic development, contributions to sustainable development, and its commitment to financial inclusion in Nigeria as well as the Ikeja City Award for the Most Consistent Microfinance Bank of the Year. HPS is a multinational company and a leading provider of payment solutions for issuers, acquirers, card processors, independent sales organizations (ISOs), retailers, and national & regional switches around the world. PowerCARD covers the entire payment value chain by enabling innovative payments through its omnichannel solution that allows the processing of any transactions coming from any channels initiated by any payment means. PowerCARD is used by more than 400 institutions in over 90 countries. HPS is listed on the Casablanca Stock Exchange since 2006 and has offices located in major business centers (Africa, Europe, Asia, Middle-East). Forcepoint is transforming cybersecurity by focusing on what matters most: understanding people’s intent as they interact with critical data and intellectual property wherever it resides. Our uncompromising systems enable companies to empower employees with unobstructed access to confidential data while protecting intellectual property and simplifying compliance. Based in Austin, Texas, Forcepoint supports more than 20,000 organizations worldwide. For more about Forcepoint, visit www.Forcepoint.com and follow us on Twitter at @ForcepointSec. Dell EMC, a member of Dell Technologies unique family of businesses, enables organizations to modernize, automate and transform their data center using industry-leading converged infrastructure, servers, storage and data protection technologies. Dell EMC serves a key role in providing the essential infrastructure for organizations to build their digital future, transform IT and protect their most important asset, information. Dell EMC enables enterprise customers’ IT and digital business transformation through trusted hybrid cloud and big-data solutions, built upon a modern data center infrastructure that incorporates industry-leading converged infrastructure, servers, storage, and cybersecurity technologies. Dell EMC brings together Dell’s and EMC’s respective strong capabilities and complementary portfolios, sales teams and R&D. We seek to become the technology industry’s most trusted advisor, providing capabilities spanning strategy development, consultative services and solution deployment and support to help our customers and partners drive the digital transformation of their businesses. Dell EMC services customers across 180 countries – in every industry and of every size in the public and private sector, which includes 98% of the Fortune 500 – with the industry’s most comprehensive and innovative portfolio from edge to core to cloud. Our customers include global money center banks and other leading financial services firms, manufacturers, healthcare and life sciences organizations, Internet service and telecommunications providers, airlines and transportation companies, educational institutions, and public sector agencies. VMware, Inc. is a subsidiary of Dell Technologies that provides cloud computing and platform virtualization software and services. It was the first commercially successful company to virtualize the x86 architecture. VMware's desktop software runs on Microsoft Windows, Linux, and macOS, while its enterprise software hypervisor for servers, VMware ESXi, is a bare-metal hypervisor that runs directly on server hardware without requiring an additional underlying operating system. This year, VMware celebrates 20 years as an industry pioneer. When the company launched in February 1998, we transformed the data center forever by mainstreaming virtualization, the core principle of cloud computing. Twenty years later, we remain just as focused on innovating in everything we do, and committed to solving the most difficult technology problems for our customers. We apply the same principles of virtualization and software innovation to securely connect, manage and automate the world's complex digital infrastructure. And there's so much more to come. We see opportunity to apply those principles to growing technology areas like IoT, edge computing, and AI, amongst others. We are optimistic about the power of technology to be a force for good, with the potential to solve the big societal problems of today and tomorrow. Software, as we see it, has the power to transform business and humanity. We're here to make that happen. Intel is the World’s Largest Semiconductor Manufacturer. A leading Manufacturer of Computer, Networking & Communications Products. Founded by Gordon Moore and Robert Noyce in 1968 with headquarters in Santa Clara, California. Intel Corporation is an American multinational corporation and technology company headquartered in Santa Clara, California, in the Silicon Valley. It is the world's second largest and second highest valued semiconductor chip maker based on revenue and is the inventor of the x86 series of microprocessors, the processors found in most personal computers (PCs). Intel supplies processors for computer system manufacturers Including Dell. Intel also manufactures motherboard chipsets, network interface controllers and integrated circuits, flash memory, graphics chips, embedded processors and other devices related to communications and computing. Intel Corporation was founded on July 18, 1968. It has over $55.9B in Annual Revenues with 25+ Consecutive Years of Positive Net Income. Over 107,000 Employees, 170 Sites in +70 Countries. The 12th Most Valuable Brands in the World by Interbrand and ranked #12 on Forbes World’s Most Reputable Companies. It’s the Largest Voluntary Purchaser of Green Power in the United States since 2008 and has Invested more than $1B in Education across more than 100 Countries over the past decade. Intel employees have generated over 4 Million Hours of Volunteer Service toward improving education over the past decade. Nucleus Software is the leading provider of mission critical lending and transaction banking products to the global financial services industry. For 3 decades, we have helped more than 150 customers in 50 countries drive innovation, enhance business value and deliver outstanding customer experiences. We offer solutions supporting retail and corporate lending, Islamic finance, corporate banking, cash management, mobile and internet banking, automotive finance and other business areas. Nucleus Software’s FinnOne Neo is a 10 time winner - World’s Best Selling Lending System, which helps Banks and other financial institutions transform their retail lending businesses by enhancing their end to end digital capabilities, launching innovative products quickly, offering personalized customer service and enhancing loan product portfolios. Our advanced technology solutions for corporate lending deliver the business agility you require to cater to the complex needs of lending to large corporate and Small-to-Medium Enterprises (SME) customers. With cutting edge capabilities of machine learning and text mining, Nucleus Software’s Lending Analytics is a powerful solution enabling banks to make informed loan decisions through data visualization and business insight generation across the loan lifecycle. For more than 20 years, CR2 has been trusted by over 100 leading banks in 60 countries to deliver retail banking services incorporating ATM, Cards, Mobile and Internet to millions of customers every day. With headquarters in Dublin, Ireland, CR2 has regional offices located in Amman, Dubai, Bengaluru and Perth with additional presence in London, Lagos, Johannesburg, Cairo and Singapore. CR2 is led by a team of fintech experts who develop and align retail banking propositions that meet the needs and challenges faced by banks across emerging and developing markets today. For additional information. Freshworks provides organizations of all sizes with SaaS customer engagement solutions that make it easy for support, sales and marketing professionals to communicate effectively with customers for better service and collaborate with team members to resolve customer issues. The company's products include Freshdesk, Freshservice, Freshsales, Freshcaller, Freshteam, Freshchat and Freshmarketer, Freshconnect and Freshping. Founded in October 2010, Freshworks Inc., is backed by Accel, Tiger Global Management, CapitalG and Sequoia Capital India. Freshworks' headquarters are located in San Bruno, Calif., with global offices in India, UK, Australia and Germany. It is widely used by over 150,000 businesses around the world including Honda, Hugo Boss, and Cisco.